While there are several excellent destinations that student and adult groups tend to gravitate towards every year, it’s always great to find a trip that is unique to your group. What activities and opportunities will truly resonate with your travelers? Take a look at these seven festivals and specialty destinations! Whether you have a group of food enthusiasts or aspiring performers, there’s a specialty destination sure to please on your next tour. What could be more magical than a visit to the Happiest Place on Earth? Perhaps the chance to sing, dance, or play music under the guidance of some of the world class professionals that call Disney home! Students will gain new skills while also getting time to explore the Disney parks. Organized by the Educational Programs Network, Music in the Parks is a one- or two-day school music festival held in amusement parks across the nation. Ensembles play before a group of judges and then get to spend the day exploring the park. Participating parks include Carowinds, Six Flags, and Dollywood! The Magnolia Silos in Waco, Texas became a major tourist destination following the success of the HGTV series “Fixer Upper,” in which Chip and Joanna Gaines buy and remodel homes. Fans of the show can shop for home goods designed by Joanna, try a number of delicious items from the bakery, and enjoy plenty of incredible photo opportunities! Each year, hundreds of performance groups showcase their talents at the Intrepid Sea, Air, and Space Museum aboard the USS Intrepid itself! Performers will enjoy stunning views of the New York City skyline and Hudson River, all while displaying their talents. The Christmas Spectacular at Radio City Music Hall has long been a favorite New York City Christmastime tradition. What better way to experience this show than to open for the Radio City Rockettes with your group? This is a once-in-a-lifetime experience that will push students to a new level of performance! This tour includes some of the most important sites where the events of so long ago shaped the America we enjoy today. 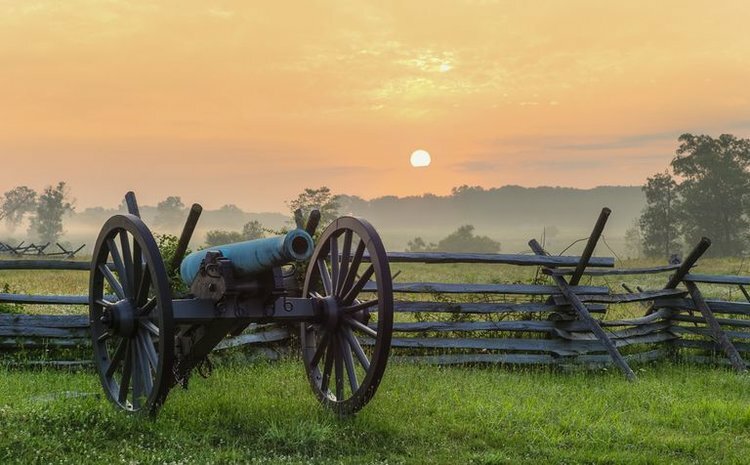 You’ll tour the Gettysburg National Battlefield and see where President Lincoln got inspiration for his famous Gettysburg Address. Enjoy Civil War reenactments; take an exciting Ghost Tour of Harpers Ferry and then experience old world dining at the Philadelphia’s 1773 City Tavern. One of the largest food festivals in the world, Taste of Chicago allows visitors to experience the endless diversity of Chicago’s food scene. From bakeries to pizzerias, there is something for everyone! In addition to the food, there is also live music, public art, and family-friendly activities. Take a look at all the adult and student group tours that we have to offer, and request your free quote today!